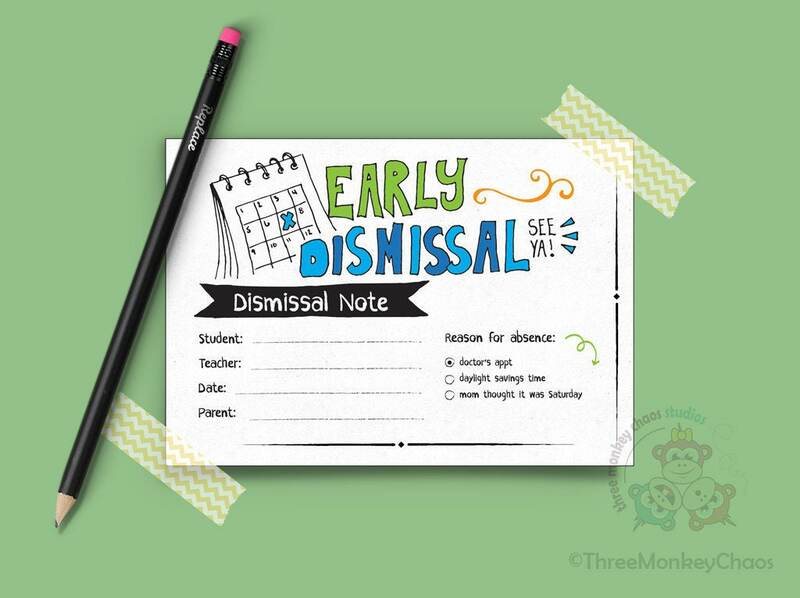 Not Editable: Early Dismissal-See Ya! Dismissal Note. Background color and artwork.